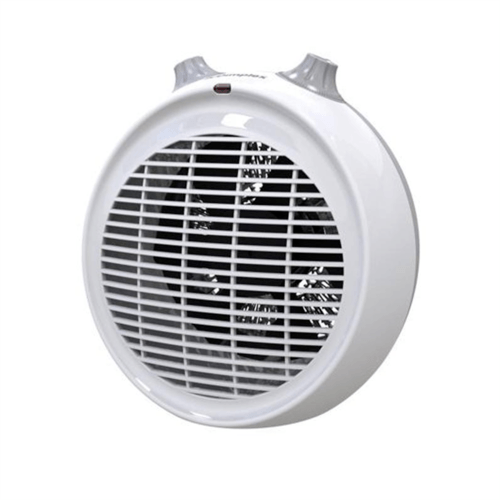 This portable upright electric fan heater is one of the Best Small Combined Heater and Coolant Fans on the market today. Ideal for Homes, Offices, and commercial premises. A lightweight, portable fan heater, the DXUF20TN allows you to top-up the heating whenever and wherever you need it. The 2kW output gives this unit enough punch to effectively heat medium and large-sized rooms, while a choice of heat settings offer the option to adjust the level of warmth to suit your environment. The DXUF20TN is equipped with a Cool Air function, allowing it to operate independently of the heating element, meaning it can double as a cooling fan when the temperature rises during the spring and summer months. A safety cut-out system ensures the DXUF20TN wont overheat, and its stylish design and finish make it a fitting complement for any interior. Purchased for our caravan so needed efficient heater which was also lightweight. Very good little heater. Would recommend.